This site is all about nepali films, latest releases, upcoming movies, older ones as well, movie cast, reviews, short storyline, release dates etc. From old black and white nepali movie to latest movie, you can find the details of most of the the nepali movie here. Youngest Director in the World for the movie "Love You Baba"
Love You baba is the nepali movie directed by the youngest director of the world Mr. Saugat Bista who is just 8 years old. In the guinness world records, currently the youngest film director is listed as an Indian director Kishan Srikanth who was just 9 years old when he directed the movie. Once "Love You Baba" gets released and his claim in the Guiness World Record gets accepted, Saugat will become the youngest film director in the world officially. See Saugat's name at the Guiness World Records as Youngest Film Director for his movie "Love You Baba". "Love you Baba" shows the love of a father and a daughter who doesn't have a mother. It shows the struggle of a father who raises his 10 years old daughter in the absence of her mother. Read more » Youngest Director in the World for the movie "Love You Baba"
The sweet yet beautiful and dazzling Anna Sharma debuted in the Nepali movies via Jerryy as a lead actress opposite to Anmol KC which released on 14th of November 2014. In a very short time she is able to make her place in people's heart by her charming and sweet personality. No doubt Jerry has been a huge success in the box office with a total collection of 84.72 lakhs in just three days. Anna's real name is Annapurna Sharma and she was just 15 years old when she did Jerryy. Who's daughter is Anna Sharma? Well this might be a top question in everyone's mind since Anna is getting popular day by day. So Anna is the daughter of popular Miss Nepal Choreographer Rachana Gurung Sharma. Actress Priyanka Karki doesn't need an introduction if we are to talk about her acting career in nepali film industry. She has been actively involved in nepali movies these days no doubt but what about singing? Have you ever noticed Priyanka karki sining? If not then you might have missed her mystery movie Aawaran where she sang the title song "Chopiyeko Satya" for the movie with Yama Buddha. Recently actress Namrata Shrestha astounded us by singing in a concert titled "Nephop Evolution with Namrata Shrestha" and now Priyanka Karki is looking forward to launch an album containing 8 nepali songs as per various media sources. Singing has been an area of interest for Priyanka karki since her childhood and she wanted to showcase her hidden singing talent to the nepali audiences. As per Priynaka, she will launch music videos for all the 8 songs soon. The recordings of her first song "Swatantra" is scheduled for the next week. Let's see how the hard working Priyanka will present herself as a singer in coming days. November 6, 2014: Unmarried Youth Director Alok Nembang was found dead at his apartment in Dhapasi today at around 7 pm in the evening. According to the kathmandu metropolitan police, Alok Nembang was found hanging at his own apartment and this is most probably a suicide although detail investigation is yet to be done. 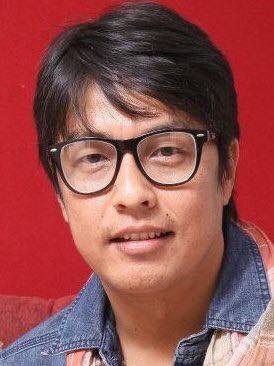 Alok Nembang is well known for his hit nepali movies like Sano Sansaar(2008) Mero Auta Sathi Chha, Kohi Mero(2010) and Ajhai Pani which is yet to be released on February 27, 2015. He has also directed around 500+ music videos till now. May his soul rest in peace. After a long journey of music video direction, Nikesh Khadka has now stepped into the movie direction with Zindagi Rocks. Zindagi rocks is a romantic comedy movie of four Youngsters who plans for a one day trip but ultimately goes for an adventurous journey. The Kantipur TV's well known VJ and music video model Akesha Bista is debuting via this movie. Hope she does well in the acting career with her powerful voice. Bollywood actress Raveena Tandon arrives in Nepal for a Jewelry Fashion show organized by the Nepal Gem and Jewelry Association. The show will be held on Wednesday November 5, 2014 at Hotel Yak and Yeti and she will be wearing and promoting nepali jewelries on the ramp with other nepali models. Raveena also expresses her happiness in coming to the land where Gautam Buddha was born. 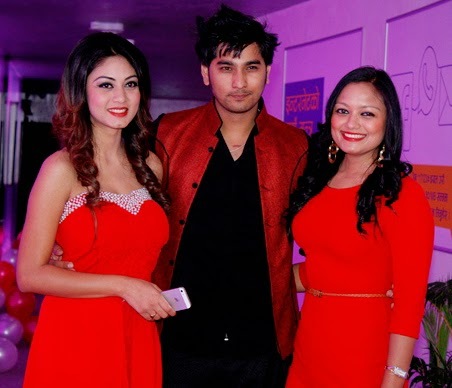 Auta Sathi is the debut direction of nepali journalist turned director Mr. Laxman Subedi starring Salon Basnet and Rista Basnet. They both started their acting career in nepali cinema via Hostel. © nepalimovieworld.com. Powered by Blogger.